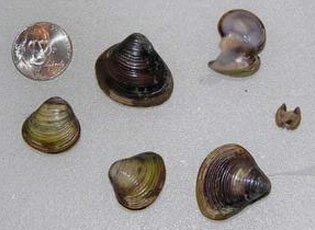 There are 10 species of native freshwater mussels in the state of New Hampshire. 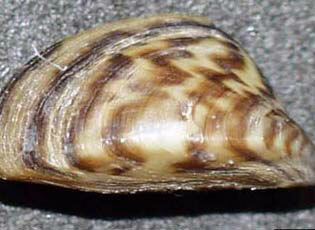 Some species, such as the eastern Elliptio, are common and widespread in our rivers, ponds and lakes. 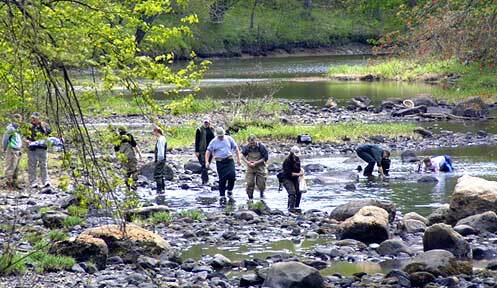 Others, particularly the brook floater and dwarf wedgemussel, have reached population numbers so low that they are now considered endangered. Eastern pond mussels are currently a species of special concern and are restricted to a handful of ponds and lakes in southeastern New Hampshire. Asian clam (Corbicula fluminea) – currently known from several locations in the Merrimack River, Cobbett’s Pond (Windham), and Sunset Lake (Wash Pond). Many of our other native mussels, even those not officially listed as conservation concern, are often considered good environmental indicators because they are sensitive to water quality and habitat degradation. Freshwater mussels may also be threatened by changes in fish species composition, dams that limit passage of diadromous fish species, and the potential spread of invasive non-native species like zebra mussels. Freshwater mussels spend their initial stage of life (called glochidia) attached to the gills, fins and scales of certain fishes. When the mussel drops off the fish as a juvenile, it lives the rest of its life as a suspension feeder on bacteria and organic matter, making it an important part of aquatic systems. Mussels are fascinating and we encourage all interested to read some of the more detailed publications and resources. The New Hampshire Fish and Game Department encourages reports of mussel sightings through our Wildlife Sightings website to help keep track of our mussel populations. View the distribution maps included with each species account and help fill in the missing data gaps. You should never kill a mussel to identify it and mussels should only be removed from water long enough to take a photo (Note: Dwarf wedgemussels and brook floaters can not be legally handled without a permit). Information and photographs are provided here to help accurately report your sightings.